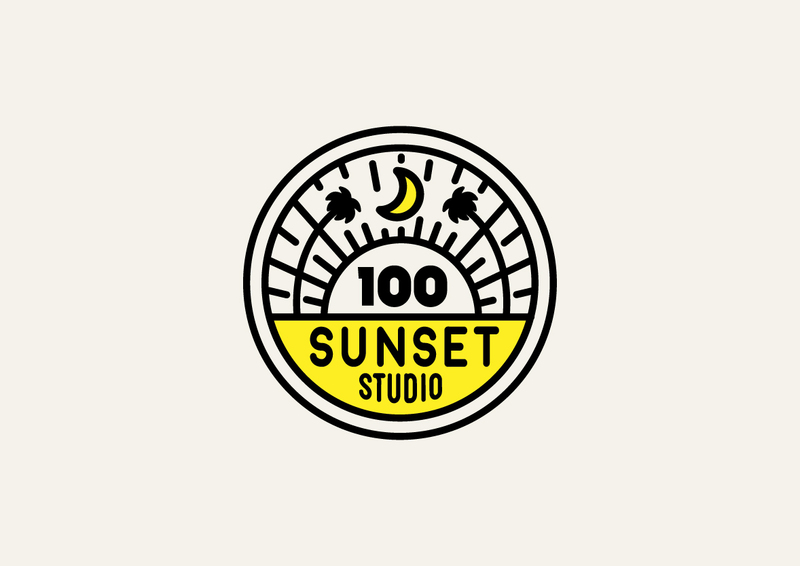 My friends from 100 Sunset Studio asked me to make their logo because they liked how I illustrated my Iconic Dates badges. Since they specialize in graphic design and animation, I agree that an illustrated logo will be implicative of their storytelling services. 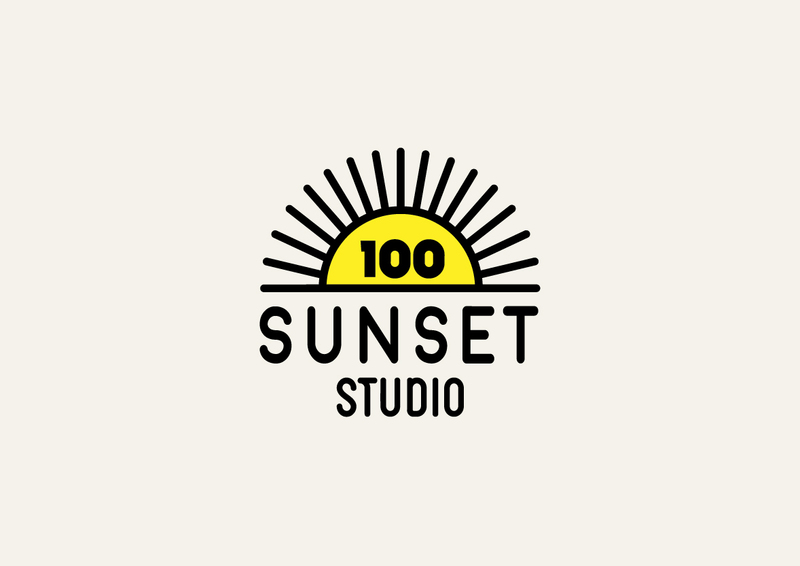 The main logo is a badge showing Sunset Boulevard in Los Angeles which inspired the studio’s name. I made a simpler version, focusing more on the name, which can be used as a secondary logo. 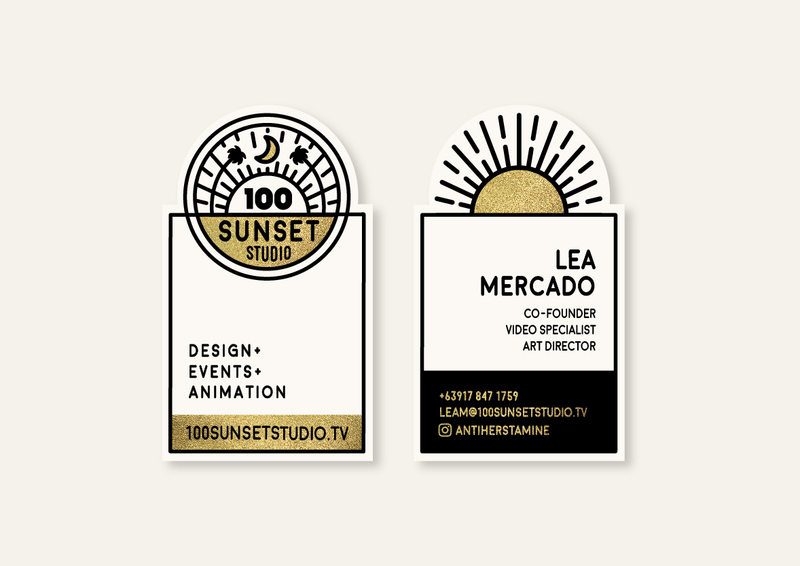 For the calling card design, I opted for something die-cut to add character to the stationery and to make it stand out from the rest of the rectangular cards one keeps in a wallet. They requested for a gold-foiled version for premium clients. Overall, the design reflects the fun and friendly personality of the small studio, as well as the pleasant and gentle nature of my friends.